BISHKEK -- Religious specialists and officials are urging journalists to cover religious issues in accordance to state law, following ethical standards, and doing so "professionally, responsibly, objectively, and reliably". "A single mistake could lead to unforeseen consequences. Many write about the subject without understanding what Islam espouses," Nurjigit Kadyrbekov, chairman of the Iyman Foundation for the Development of Spiritual Culture, said during an international conference on Role of Media in Anti-extremism Policies in Kyrgyzstan September 28 in Bishkek. The conference was organised by the Organisation for Security and Co-operation in Europe (OSCE) Centre in Bishkek jointly with the Culture, Tourism, and Information Ministry, the State National Security Committee, and the Institute of Media Policy. Speaking at the conference, Deputy Director Zakir Chotayev of the State Committee for Religious Affairs noted the important role that media plays in educating the public on religion. 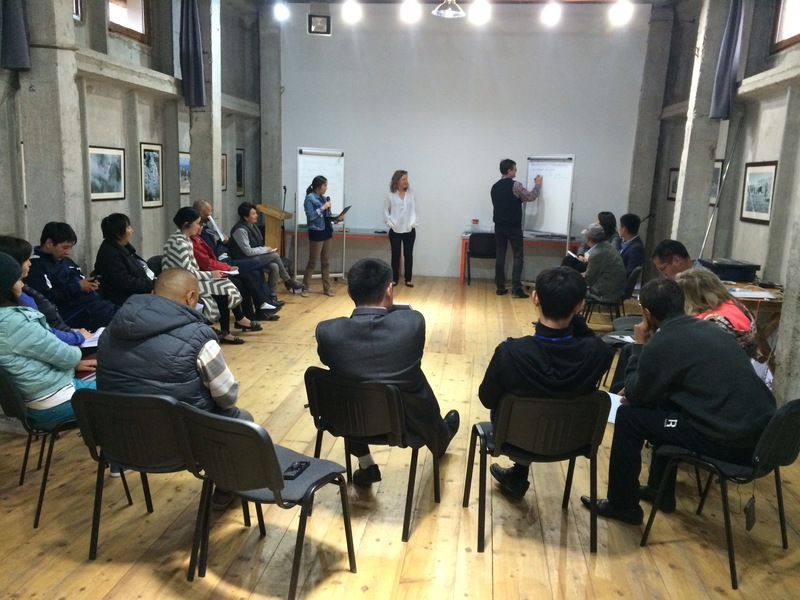 Participants also discussed what causes religious extremism to spread, with a focus on the ethics of covering violent extremism in Kyrgyzstani media. Meanwhile at the conference, the Kyrgyzstani consulting agency "Expert" presented a study based on 687 media reports covering extremism and terrorism since January. Its research showed that during this period, Kyrgyzstani media has successfully made progress in discrediting the ideology of extremist organisations and movements. "We should reject the stereotypes while covering religious issues," Kadyrbekov said. "Discussing religious issues solely from an anti-extremism perspective is one of the most common mistakes: after all, religious life is much more multifaceted." Nearly all speakers at the conference remarked that it is critical to increase journalists' knowledge on anti-extremism policies so that they don't pass along extremist ideology. Abakhon Sultonazarov, the Institute for War and Peace Reporting's regional director for Central Asia, said media projects to educate the public on religion and counter extremism should be consistent and ongoing. "Non-recurring and event-related publications may not have a major impact on audiences. At the same time, we need to use all methods, approaches, and technologies available - internet and mobile services - [to reach] youth and urban audiences, and TV, radio, and newspapers for adults and rural residents," he said. "We need to combat the flow of extremist information...and strengthen information policy on the worldwide web and actively help alternative information that reveals the true essence of extremist ideology to spread," Deputy Minister of the Culture, Tourism, and Information Ministry Aynura Temirbekova said at the conference. "State agencies can't counter terrorism on their own. Help from the international community, civic society, and journalists is important. We need a unified media channel to counter extremism and terrorism," she said. Defence Council Secretary Temir Jumakadyrov admitted that the country lacks cybersecurity specialists. "For us, it's an entirely new type of threat. But in that regard, I can seriously say that the scope of the State National Security Committee's work is massive and comprehensive. And I believe that we do a good job at what we do," he said at a meeting of the National Business Club in Bishkek September 28. Experts note about media's great role in countering religious extremism and terrorism. A discussion on media's role in countering extremism and terrorism took place in Bishkek.